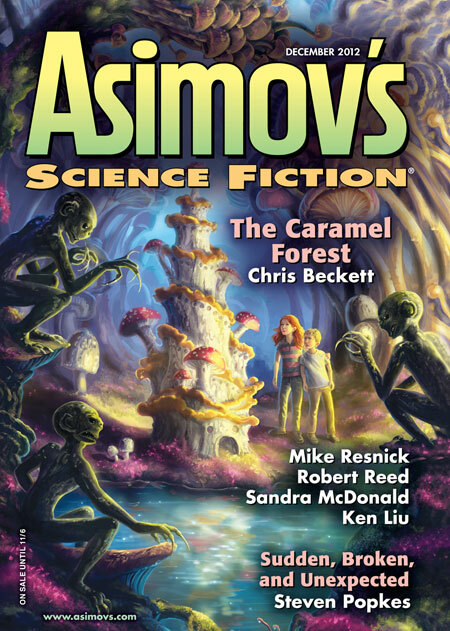 Today I recieved a notice in the mail that the cover art I did for Asimov's Science Fiction, Dec. 2012 issue, won the Asimov's 2012 Reader's Award for Best Cover Artist. 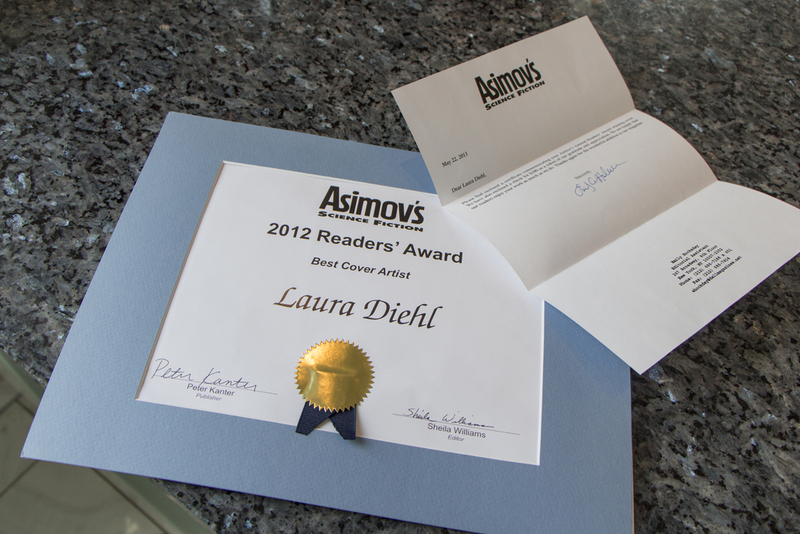 I am delighted and honored! 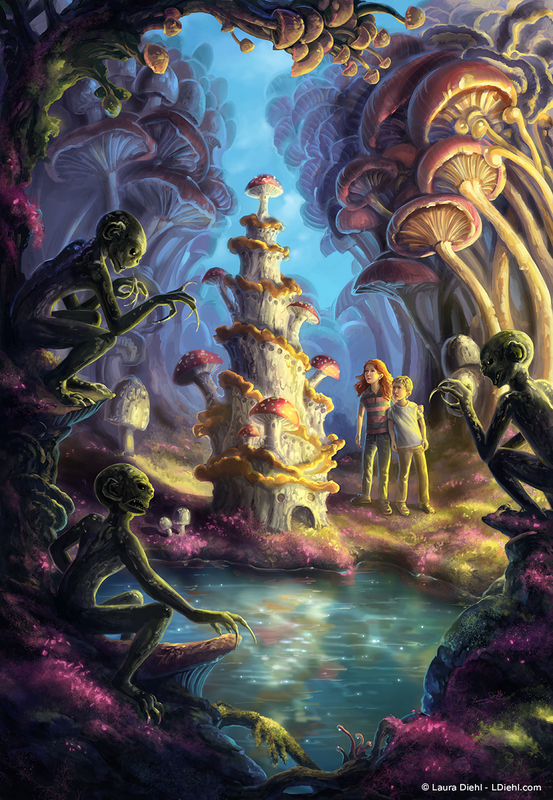 The illustration was based in Chris Beckett's short story entitled "The Caramel Forest." I had a lot of fun painting the various colorful fungi.